Lowe Wines is a leading Mudgee producer operating a certified organic and biodynamic vineyard, farm and winery. We grow grapes and make wines that reflect these principles of quality, sustainability, provenance and custodianship. CEO and chief winemaker David Lowe is widely regarded as a senior figure in the Australian wine industry. His 40 years of International experience began with the first planting of grapes on the property and has included numerous accolades for his winemaking, innovation and service. The Lowes have been farming the Mudgee property, ‘Tinja’, since 1824. Recent plantings date from 1995 with the cellar door opening in 2001. The picturesque winery cellar door, one of the busiest in NSW, is popular with locals and an important regional attraction for visitors. Extensively landscaped grounds, an adjacent hatted restaurant and food garden, and a new function facility add further to the significant opportunity for a talented and committed professional sales leader. Lowe Wines is seeking an experienced person with exceptional sales and people management skills to take our strong sales performances to an even higher level, a person who is excited by the opportunity to share what we produce, profitably develop business and create and support a culture of excellence. Reporting to the CEO, the advertised position manages the sales activities of the cellar door team and events coordinated through the cellar door. It will contribute to preparation of monthly financial reports; manage training, performance and development of the team; stock and asset management; development and maintenance of cellar door and events policies and procedures. Drive revenue to meet set sales targets. Develop ideas and execute marketing strategies to reach sales targets. Develop sales channels: retail, wholesale, e-commerce, emerging markets. Management of a small team responsible for daily operations of cellar door. Asset monitoring and management, both financial and fixed assets. Manage stocktaking and restocking activities. Conduct wine tastings and sales. Coordinate and host VIP and group wine experiences. Cellar door staff induction, training, rostering, and ongoing management. Maintain a high standard of hygiene and presentation, including cleaning and visual merchandising. Administrative and financial management are required. Develop policy and procedures to meet sales targets. Implement, execute, grow and manage all cellar door events. Participate in management meetings, provide feedback, and follow up on issues. Lead the team in matters relating to WHS as they relate to work being undertaken, to ensure own safety and that of others in or visiting the workplace. Lowe Wines is seeking an energetic and down-to-earth person with proven leadership and sales experience as an imperative. 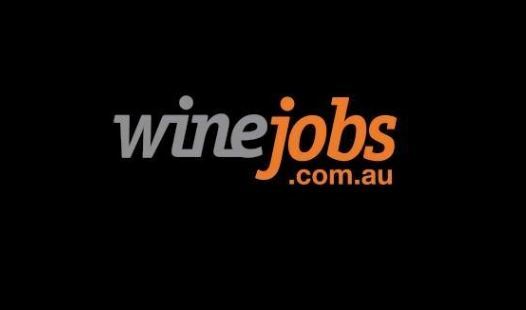 Experience in the wine industry is preferred. The successful candidate must be organised and able to multi task and prioritise. We are a small tight knit team with a proud history. We are looking for an energised person who can fit into our team culture and grow with us long term. Importantly, the successful candidate shall be capable of working with extended periods of standing and walking. Qualifications in sales, business, tourism, management, marketing and events or related disciplines are an advantage. This is a full-time position with a 5-day working week and usual hours of 9am-5pm. Work on weekends, evenings and Public Holidays will be required in accordance with business needs. An opportunity exists for the right candidate to develop a flexible roster providing the business can accommodate it. A salary package including incentives is negotiable, depending on the demonstrated experience and aptitude of the candidate. The selection criteria describe the particular skills, abilities, knowledge and qualifications required to achieve the outcome of the role. Your statement of claims against the selection criteria is an essential part of the shortlisting process. If shortlisted, applicants will be asked at interview to provide examples against the criteria to demonstrate their ability to perform the duties of the position. Applicants must demonstrate the ways in which they will be of value for the job and Lowe Wines. Therefore, you must make sure that you adequately address each selection criteria and cite evidence of your suitability. Do not simply state that you meet the requirements of the selection criteria. It is essential that you provide examples from your current or past roles that demonstrate how you meet each criterion. You should focus on how your experience, achievements and capabilities will enable you to successfully undertake the responsibilities of the role. The preferred format for giving examples relating to selection criteria is referred to as the STAR (Situation Task Actions Results) model.